We met Punam in October, 2011. Punam has been working with the fair trade project Manjeen Handicrafts of New Delhi for two years, using the money she makes to support herself, her three small children (ages 2, 3, and 5), and her mother-in-law. Her husband struggled to find work in the small village they had moved to several hundred miles away, so Punam made the move back to her childhood home of Delhi to find work. Her husband was too proud to follow, so he stayed behind, leaving Punam as the sole breadwinner of the household. Manjeen Handicrafts has provided her with the skills to make jewelry, and offered general education in necessities like healthcare and dental hygiene. Manjeen Handicrafts was started in the year 2000 with seven underprivileged girls from the Delhi Slums. They are an offshoot of Tara Projects, one of the largest fair trade groups in India. Today, Manjeen has seven different projects around Delhi working with block printing, mango and shesham wood carvings, and jewelry made by 10 girls (Punam included) from the neighboring Narocamp slum who are able to finish up their household duties before walking the few steps to their work room. They, through fair trade, are able to set their own prices and schedules for the jewelry they create. Manjeen provides design help and marketing opportunities and is trying to create as much fair trade awareness in India as there is in the West. 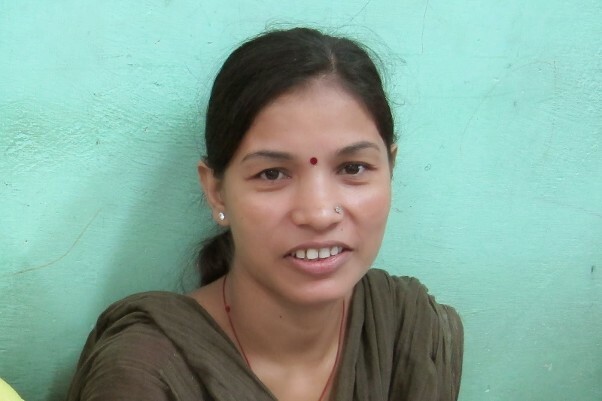 With her earnings, Punam will be able to send her children to school, which is one of her biggest dreams. We met Francisco and Ricardo in April 2008. In the small town of Chulumal Tercero, Guatemala, a farmer named Sebastian runs a sewing workshop from his home. 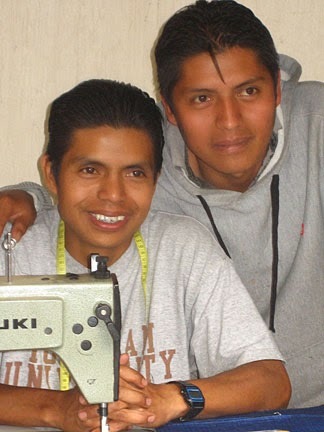 His sons Francisco (right) and Ricardo (left, the recognized leader of the little group) work as tailors with two other young men. They are part of the larger artisan group Ruth and Naomi. Ruth and Naomi is a group of war widows who came together after the civil war in the 1980s. Ricardo and Francisco’s grandmother, Anastasia, is one of the original women and still weaves for the group. In addition to providing steady work for 47 people, Ruth and Naomi has healthcare programs and helps support students with scholarships. They have also built 16 new homes for widows who lost everything during the violence. Ricardo and Francisco are thankful for this good paying work. They said that without it they would have to go to the United States to look for illegal work, because there are no other good jobs for them in Guatemala.